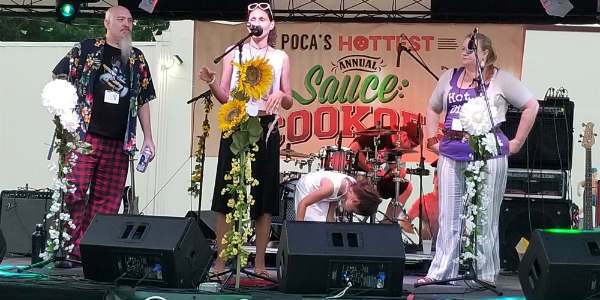 Every year Wendy Davis, Chef/Owner of Poca’s Hottest Hot Sauces, holds a culinary competition where the contestants must use one of her hot sauces in their entry. This year was the 7th annual cook-off and it was held at Will’s Pub on Sunday, April 29. In conjunction with the cook-off this year, Poca’s Hottest held a competition for the next band to have a hot sauce named after them. 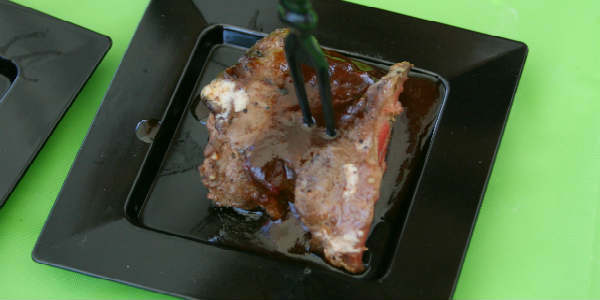 The cook-off competitors had dishes ranging from Citrus Smoked Spanish Mackerel with Fried Sunday Sauce to Gumbo to Tuna Poke to Tostones Rellenos and Beef Pinwheels with Supervillain Sauce. There was even a dessert – a Pork Belly Sundae with Beebs Blueberry Habanero Jam Sauce. I didn’t envy the judges…there was not a bad entry in the bunch. 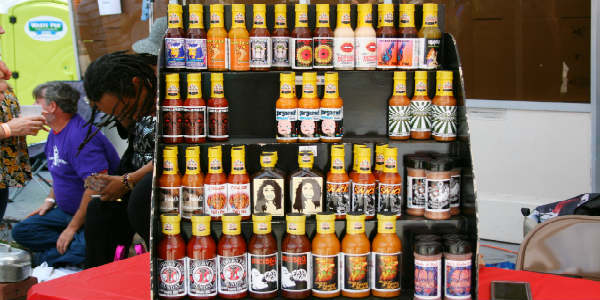 The bands that competed for the honor of having a hot sauce named after them were; Tears of a Tyrant, Druid Lord, Leisure Chief, Sideshow Revival, Spitfire, Beemo, The Goldminers, Linda Nunez, The JC’s, and The Ludes. The bands were split between an inside stage and the outdoor stage. Each band gave their all and rocked Will’s Pub. 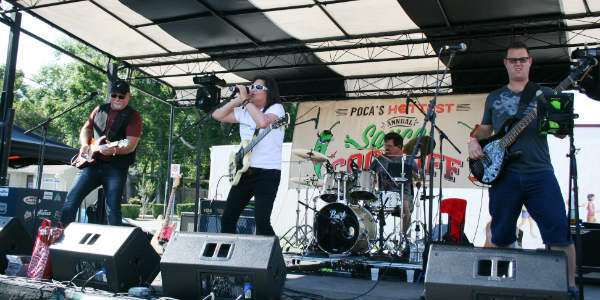 After all the cook-off entries were tasted by the judges and the bands were done rocking, Wendy took to the outdoor stage to announce the winners. 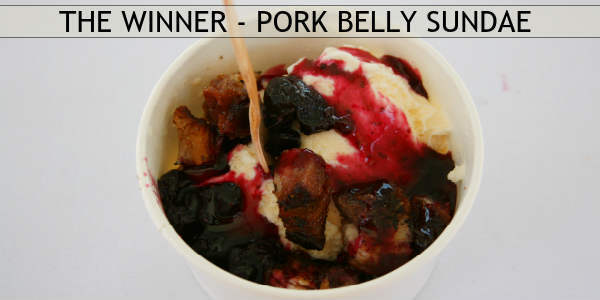 This year’s cook-off winners were as follows; 1st place – Pork Belly Sundae (photo below), 2nd place – Supervillains Pinwheels (photo above), 3rd place – Poca’s Hottest Poke. The People’s Choice winner was Tostones Rellenos. 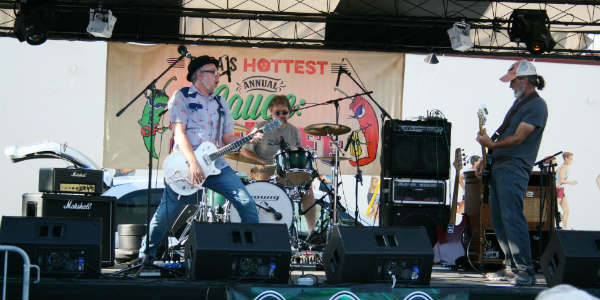 There were two bands that won the honor of having Hot Sauces named after them: The Ludes and The JC’s. After the announcements and awarding of the trophies, Beebs and her Moneymakers took the stage to end the night. This is always a fun event, highlighting local musicians and food. As soon as we hear of a date for next year’s event, we’ll let you know so you can make plans to attend. Linda was born and raised in Orlando with a love of all things Central Florida. She is an avid explorer who loves to travel, cook, hike, camp, fish and all forms of sports. Linda is also a part time nature photographer. She currently lives in Apopka.